As innovations in military technologies race toward ever-greater levels of automation and autonomy, debates over the ethics of violent technologies tread water. 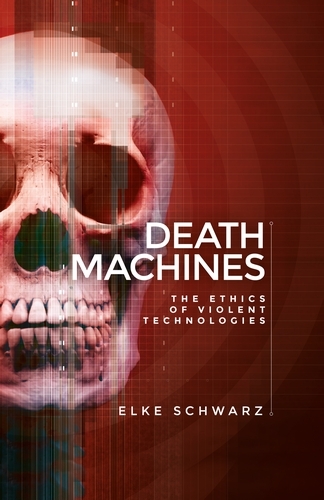 Death Machines reframes these debates, arguing that the way we conceive of the ethics of contemporary warfare is itself imbued with a set of bio-technological rationalities that work as limits. The task for critical thought must therefore be to unpack, engage, and challenge these limits. Drawing on the work of Hannah Arendt, the book offers a close reading of the technology-biopolitics-complex that informs and produces contemporary subjectivities, highlighting the perilous implications this has for how we think about the ethics of political violence, both now and in the future. This entry was posted in biopolitics, books, drones, ethics, technology and tagged drones, Elke Schwarz, military technology by Derek Gregory. Bookmark the permalink.